It’s no secret that we do things very differently today than we did 20 years ago. The internet era has changed the way we buy groceries, connect with our friends, and even the way we look for homes. A quick online search for buying or selling homes in Ohio will bring up thousands of results, many of them from national or international real estate listing aggregators. There are certainly benefits to using services from this type of big corporation, but is it truly a replacement for local brokerages? With all of the talk about how millennials are affecting the markets-- every market from real estate to diamonds to motorcycles-- it can be easy to forget that many of them are, at this point, pretty well-established adults. Attention is slowly turning to Generation Z, the group of individuals born in the mid-to-late-1990s and beyond. The oldest Gen Z-ers are just reaching their mid-twenties, which means many of them are starting to think about home-buying and consequently their preferences are starting to sneak into the market. People in the Millenial and Z Generations were raised on the internet, which means the way they approach living and working is very different than the way previous generations approached those same issues. 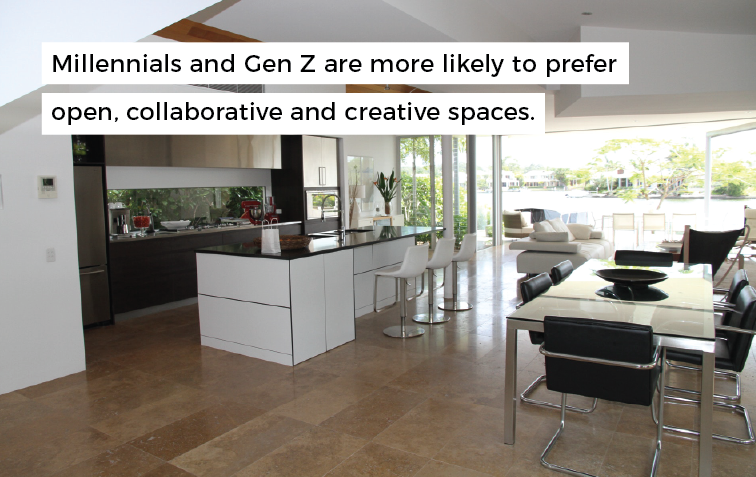 They are more likely to prefer open, collaborative spaces, and we’re seeing an increase of open-concept spaces as a result. 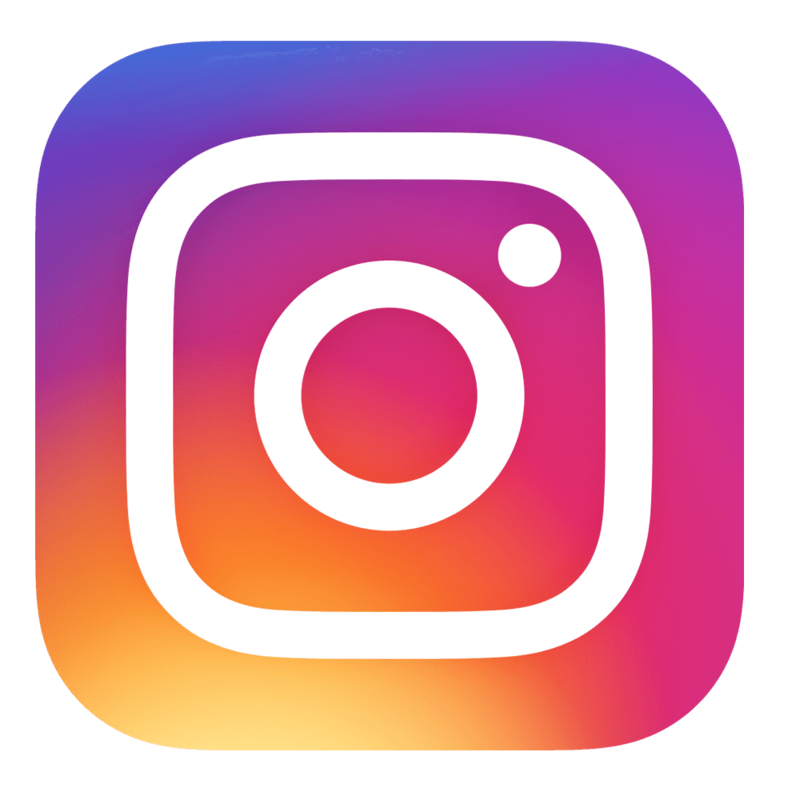 Millenials and Gen Z-ers also have a thing for beautiful spaces-- ones with creative or quirky design touches that make them perfectly postable for social media. Speaking of Millennials and Generation Z, did you have any idea just how many people they’re bringing to the real estate party? Between the two cohorts, experts are expecting more than 150 million new home-buyers hitting the markets in the coming decade. 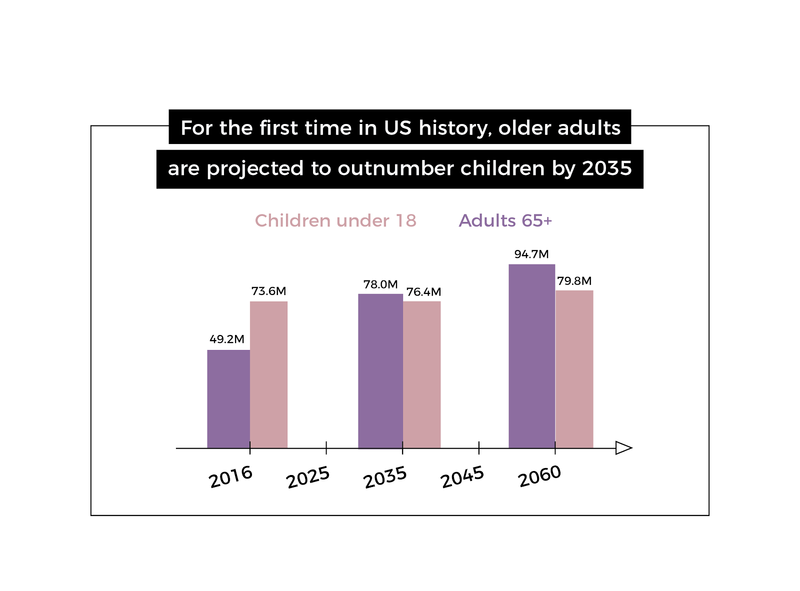 This dramatic increase combined with the fact that older generations (like the Baby Boomers) are living longer and staying in their homes longer means that younger generations face an unprecedented housing shortage. This has led to some creative problem solving on the part of Millenials and Gen Z-- but we’ll talk about some of the affordable tech that’s trending in real estate in its own section. Another way this has affected the real estate game is that it is making access to complete, reliable information about home listings absolutely essential to anyone in the buying or selling game. Difficulty finding single-family homes has led many members of younger generations to prefer multi-family homes and homes in secondary markets like Columbus, Pittsburgh, Salt Lake City, and Fort Lauderdale. These decisions allow first time buyers to get their feet wet in real estate, so to speak, without taking on the full risk or financial burden of investing in a single-family property. As we mentioned earlier, people are living longer and staying in their homes longer than they have ever before. However, that unfortunately doesn’t mean that they can stay in their homes forever. 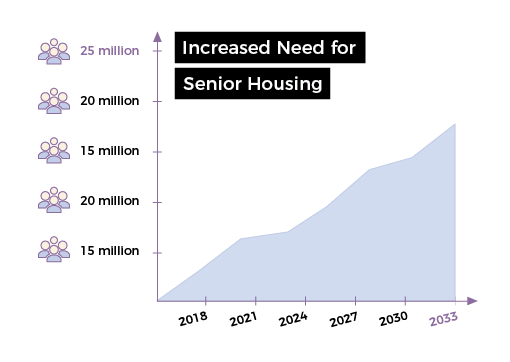 The demand for affordable and high-quality senior care facilities and senior housing tops the list of all residential segments. Why is that? Experts suggest that we can expect 25 million more individuals to fall into this category of need within the next 15 years, and present inventory does not even come close to meeting this need. 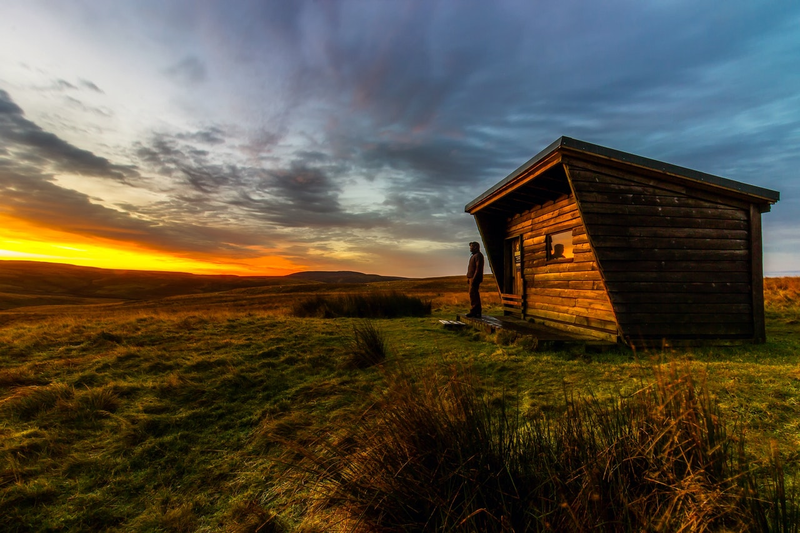 3D Printing, Prefab Houses, and Tiny Homes, Oh My! There are some pretty big problems with using listing aggregator sites for your home buying and selling needs, but what’s your alternative? If you need fast, reliable information, local brokerages are the way to go. 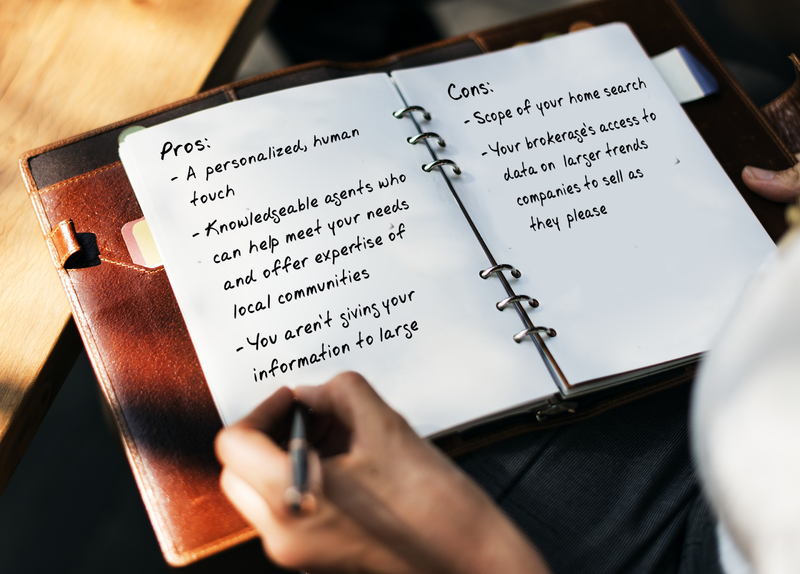 When you search for a home using online real estate search engines, you are relying on an algorithm to make a very human decision for you. The search box in your browser is simply using math to make guesses and match keywords. Is that really how you want to find the house or apartment you’ll call your home? Local real estate agencies offer a much more human touch from start to finish. When you enter your contact information on a real estate search engine site, your information is sent to several agents until someone picks up your ticket. When you enter your information on a local brokerage site, you are immediately matched to an agent who is an expert in the area where you’d like to buy or sell your home. The human component of real estate is essential to making a match that doesn’t just work on paper but works in real life, too. Local realtors quickly become experts on the areas they service. They don’t just have data about the area-- they truly know the area because it’s where they live and work. Local realtors are also aware of properties that are coming to the market soon, which is a huge asset to you in your home search. Similar to the way finding out about a property a few days late because massive real estate search engines are slow to update can cause you to lose out on a great deal, finding out about a property as soon as it’s listed or even a few days in advance from your local agent can give you an edge and help you land the home of your dreams. The country’s largest full-service agent-owned real estate agency HER Realtors exemplifies virtually all of the reasons why local brokerages have an edge over real estate search engines. HER Realtors was founded more than half a century ago on the dream that people who live and work (or want to live and work!) in the communities they grew up in should be able to find homes that fit their needs and budgets. 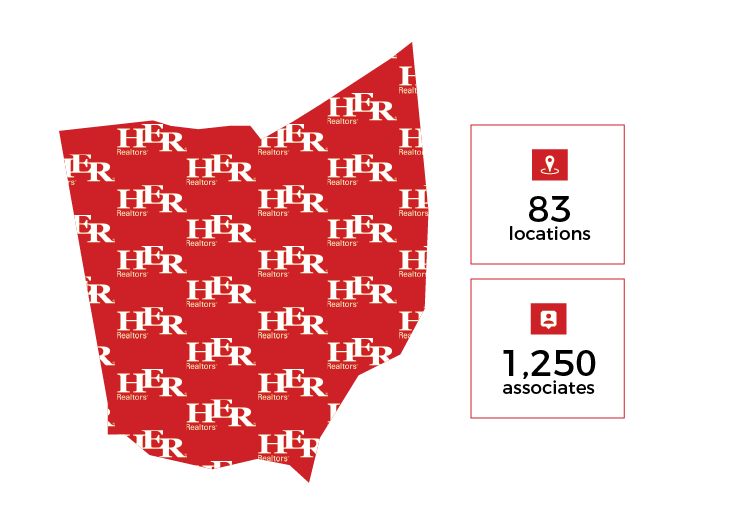 From its humble beginnings, HER Realtors has grown to include over 83 locations across the state of Ohio and has 1,250 associates. The agency believes that good real estate transactions begin with strong relationships, and they strive to foster a connection with every customer who walks through their doors by delivering personal attention and responsive service. 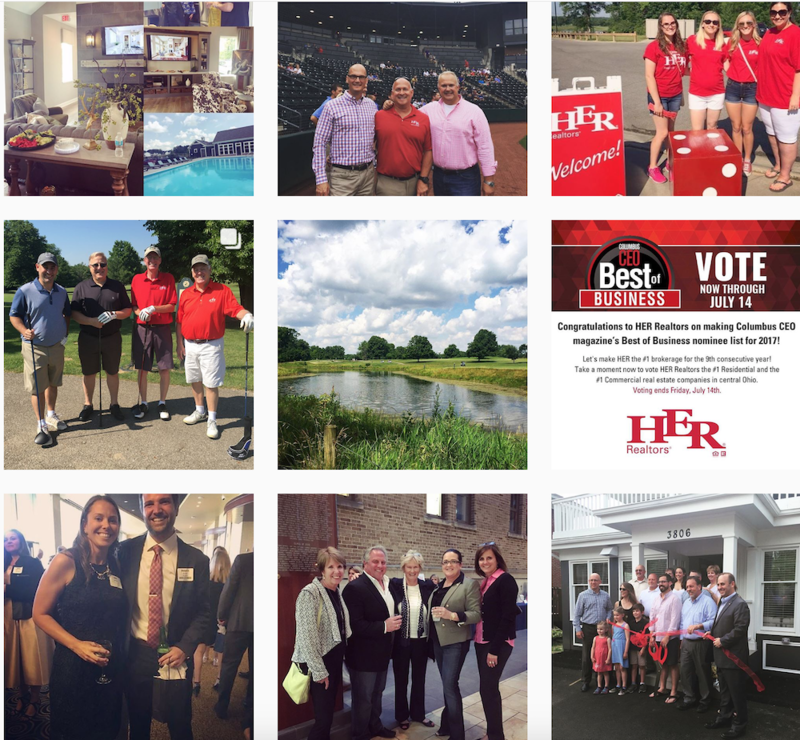 Their dedication has earned them the Columbus CEO Best in Business awards in Commercial and Residential Real Estate 10 years in a row. HER Realtors and other local brokerages are unique because they offer a search experience that is as broad as it is in-depth. In addition to connecting home-buyers to agents who are experts in the brokerages they serve, the HER Realtors website covers every MLS IDX feed in Ohio. What does that mean for you? When you search for a home on a local brokerage site like the HER Realtors website, you can rest assured you're getting accurate information about every property available in the state of Ohio. Some local real estate agencies are extremely local. If you already know precisely the neighborhood you want to live in, this can be an asset, but as a general rule it’s helpful to find a local brokerage with several locations to ensure you don’t narrow the scope of your home search too drastically. Depending on its size and service area, some local brokerages may have more or less access to information about larger real estate trends. 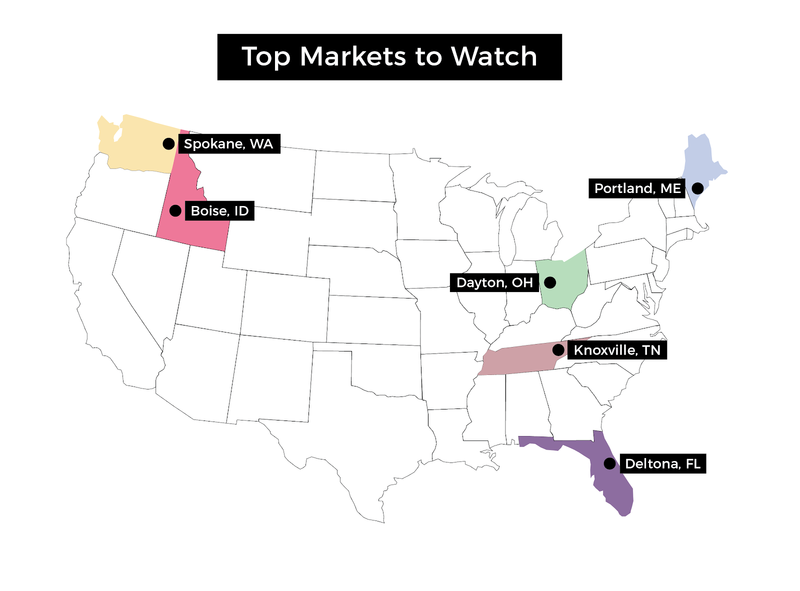 Keeping tabs on national real estate trends is essential to making informed home buying and selling decisions, so be sure to select a brokerage that can make data-based recommendations for your home search. When you need to gather information in the internet age-- information about real estate listings in your area included-- you probably start with a quick online search. Whether you start looking on your laptop or the tiny computer in your pocket, you’ll be sure to notice that many of the top results for any real estate search are from online real estate listing aggregator sites. But despite their high search engine ranking, are real estate sites like this really the best way to find your next home? Check out our list of pros and cons and decide for yourself. Whereas many local real estate agencies tend to focus on a smaller, more contained service area, listing aggregator sites make it easy to search housing markets across the country. This can be very helpful, especially towards the beginning of the home search or if you have the flexibility to consider areas around the country that you may not know intimately enough to have a local real estate agency in mind. Real estate search engines are powered by big companies, and their sites receive a lot of traffic. That means they have the resources (and the motivation) to keep their sites running smoothly. Overall, this can result in increased consumer trust, which is a big factor in any kind of online business. Take a few minutes to browse a listing agg, and you’ll stumble across plenty of opportunities to reach out for support without necessarily having to look for them. Between customer service chats, buttons that lead to realtor directories, and contact us buttons, opportunities to talk to a real person are abundant. 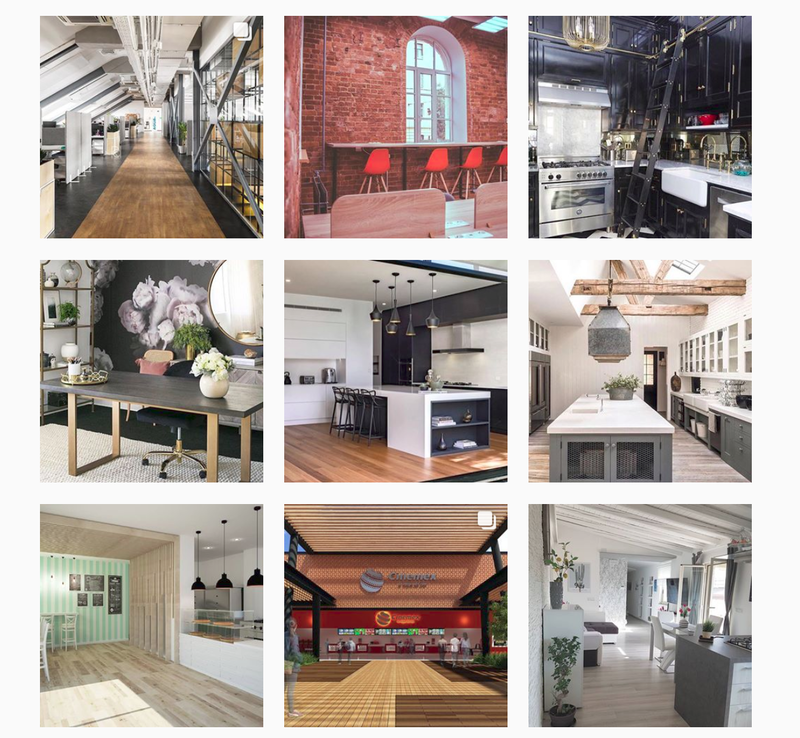 Much the way the size of these real estate companies allows them to provide technically reliable sites, their size also gives them the resources to offer more continuous support to consumers than a smaller agency might be able to. 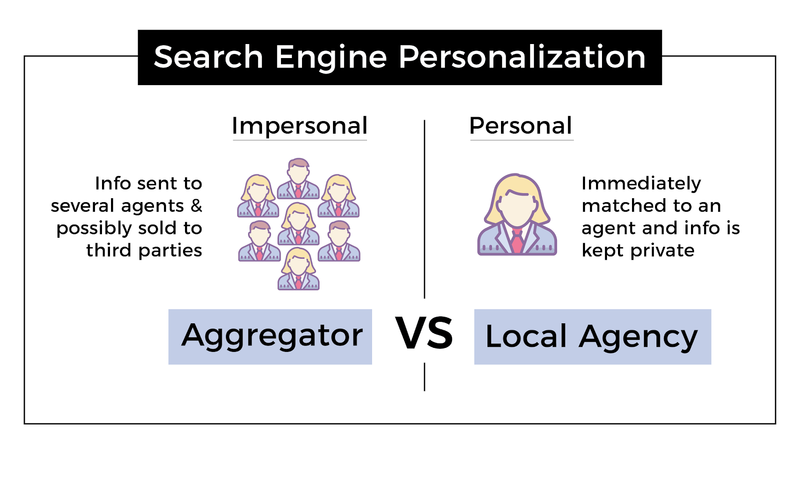 When it comes to searching online, many people mistakenly assume that because their search on a listing aggregator site returns lots of results, they have received all of the information. Unfortunately, that simply isn’t true. Their results are often inflated to make it seem as though they have more listings than they truly do, and even worse, their data can be days or even weeks behind local real estate listings. Obviously, that is a major downside when housing shortages make access to fast, reliable information essential. Real estate is a fast-paced market, and if you don’t have the most up-to-date information you certainly aren’t going to win the game. The more time a home is on the market before you even see it, the more likely it is that other investors have submitted competitive bids. In order to keep yourself from missing out on great deals, you need information much faster than big companies can provide it. 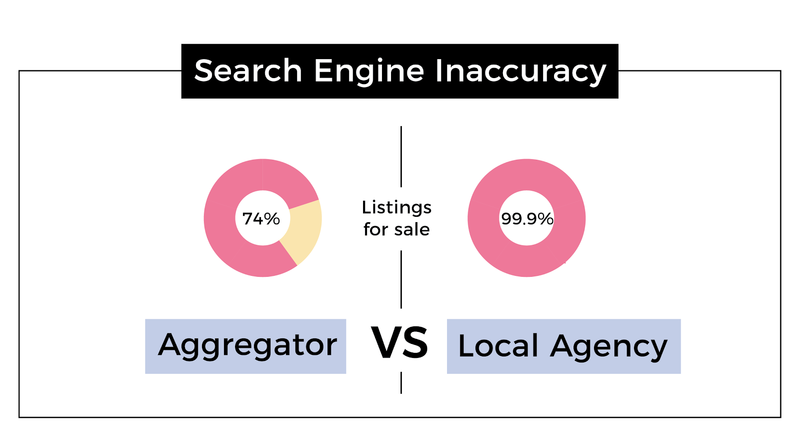 Okay, so even if big real estate search engines are missing some information, they’re still good for getting a broad sense of what your local market is like, right? Well, not necessarily. The information that these sites do have online may not be accurate enough to be truly helpful in your search. 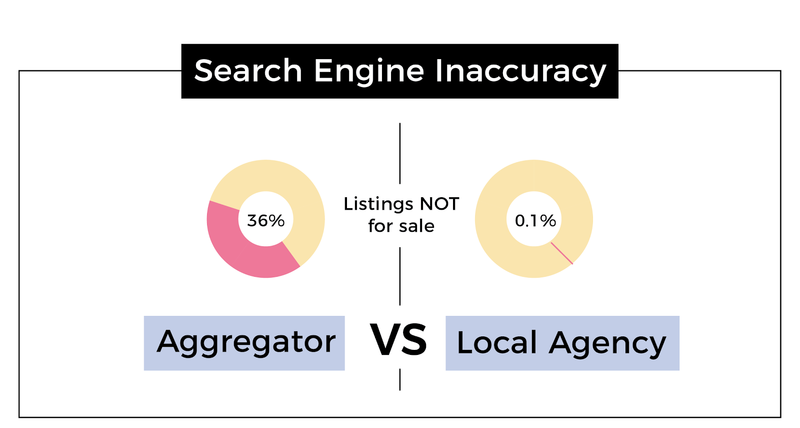 Recent studies have revealed that large real estate search engines are extremely inaccurate-- in fact, one study showed that a whopping 36% of active listings on these sites were no longer truly available for sale. When local brokerages-- like HER Realtors-- were similarly put to the test, they returned almost 0% inaccuracy. If you’re going to spend the time scrolling through search results, would you rather waste your time one a site where more than ⅓ of the listings aren’t actually available? Up the efficiency of your house hunting and stick with local agencies. Long before listing aggregator companies came along, real estate agents and brokers have been building their reputations based on experience, integrity, and service. Unfortunately, pressure placed on smaller brokerages by these giant companies threatens that legacy. 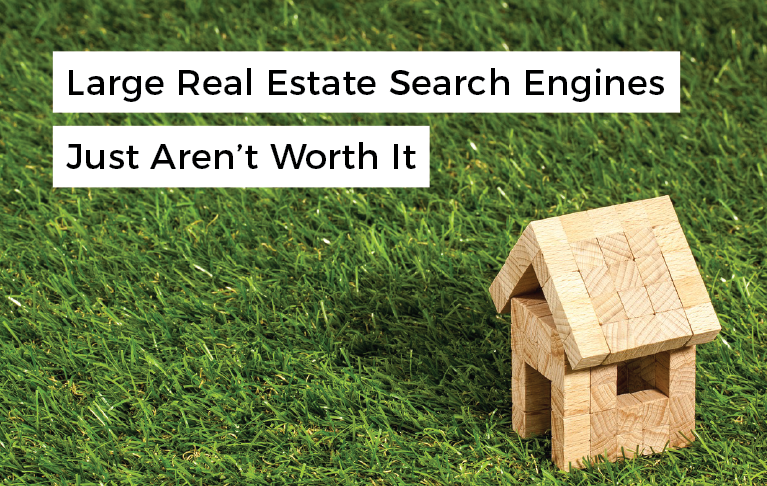 According to some real estate agents, big real estate search engines “make a mockery” of the real estate profession. They may try to force local realtors into expensive advertising contracts and misrepresent listing information on their sites. For example, if a realtor decides to pay the astronomical fees to get the leads to place one of their listings on a listing aggregator site, that site may promote their own agents-- not the agent who is actually listing the property-- alongside the listing to mislead buyers and improve their own bottom line. This sort of behavior generates fear and greed, and it creates a toxic marketplace for buyers, sellers, and real estate professionals alike. When you decide to take on buying or selling a home, there are plenty of things you can do to ensure that your real estate experience goes as smoothly as possible. Here’s a quick checklist of how home buyers and sellers in Ohio can set themselves up for success. Text, email, call-- keep lines of communication open with your agent! The internet age may have changed the way we gather information, but some things are the same way they’ve always been. 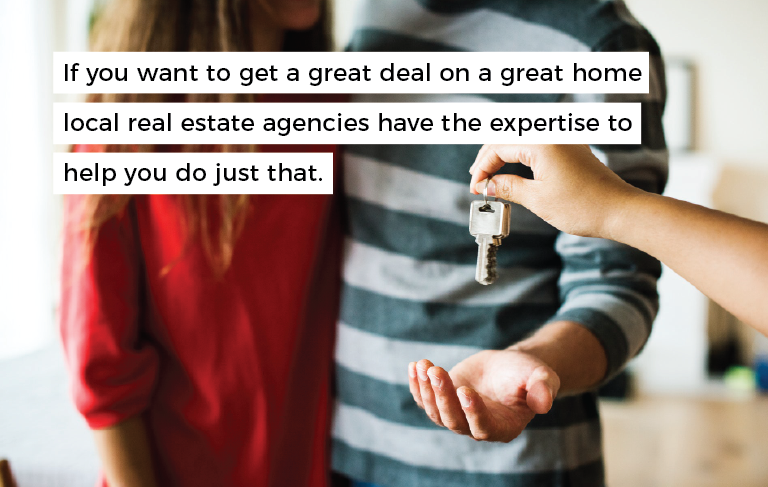 If you want to get a great deal on a great home, local real estate agencies have the expertise to help you do just that. Do you have experience buying or selling your home with a local brokerage? We’d love to hear your story in the comments section below!